This article answers a question from a recent email. “…It’s great that I can post to multiple social networks automatically … wouldn’t be great if I could do the same with video?” Well if you missed the previous article, I explained how to automatically post your post’s to multiple social networking sites. There is a website that posts your video’s to multiple sites as well. It’s called Tube Mogul! Tube Mogul aggregates video-viewing data from multiple sources to give publishers an improved understanding of when, where and how often their videos are watched, track and compare what’s hot and what’s not, measure the impact of marketing campaigns, gather competitive intelligence, and share the data with colleagues or friends. 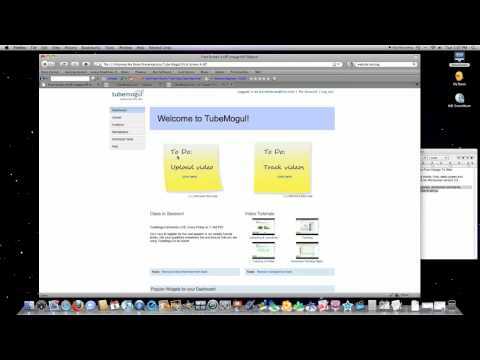 To set up your account, go to Tube Mogul and sign up for an account. After you login, you’ll be shown a page with two sticky notes on it. I hope that helped people to better distribute their videos, for free and in seconds. If you have any questions, post them below.